For Promdemonium we built an automatic photo booth. While nothing can replace a talented photographer, experience has shown that expecting someone to volunteer to be chained to a backdrop to photograph 500 people for 5 hours, for free, is unreasonable. Promdemonium benefited greatly from the work of roving photographer, and generally awesome guy, Ming Wu (you can see his pics from the event here) but all the photo booth pictures were DIY. 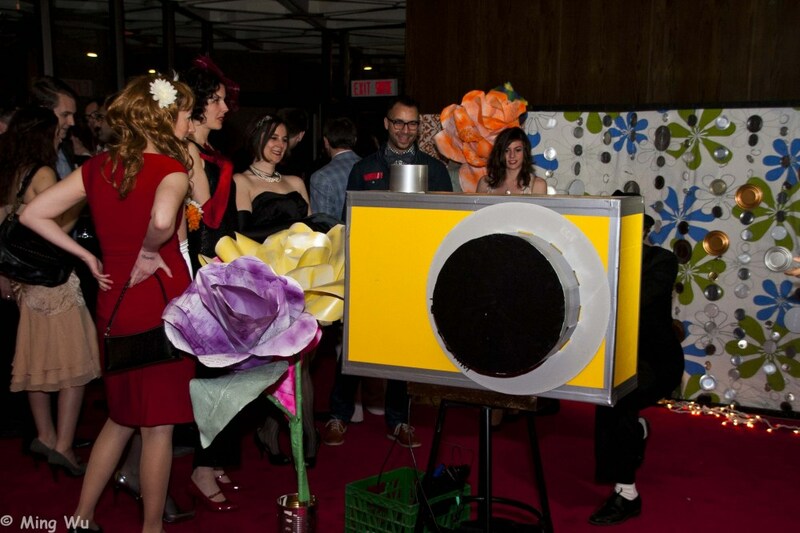 When it came to building our photo booth, we were heavily inspired by a fantastic giant camera photo booth on instructables. We put together a base from a scrap piece of wood and part of one of our kitchen stools. 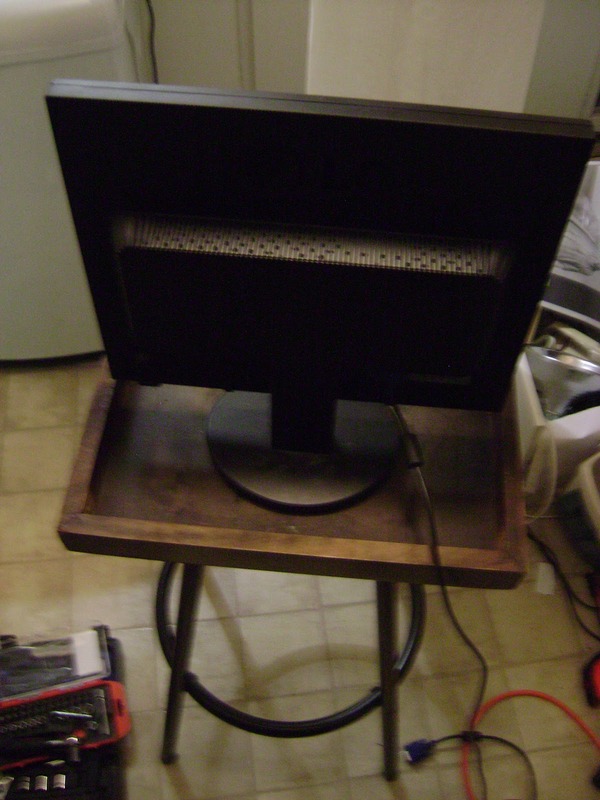 We attached a borrowed monitor and small camera tripod. 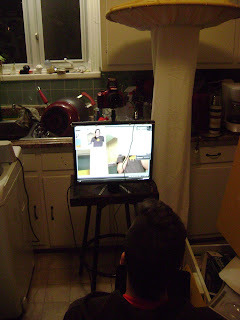 We used a Canon Rebel T3 connected to Chris' laptop. The software that came with the camera allowed us to control it through the computer. 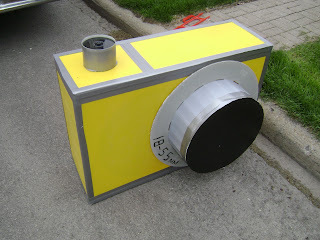 The giant camera cover was made from sign boards from the University of Ottawa recycling centre and lots of duct tape. For the first part of the night, we used a wireless mouse in a plastic container to activate the camera. Basically it was a big button promsters could tap with their foot to take a picture. When things started getting busy, we put away the button and set the camera to automatically take a picture every 5 seconds. You can see all the photos taken here (warning, there's over 1300!). Your creativity sure is fascinating, how about the big camera design did you made it by yourself? in this case the photobooth didn't just added fun to the event it also had shown your creative side. 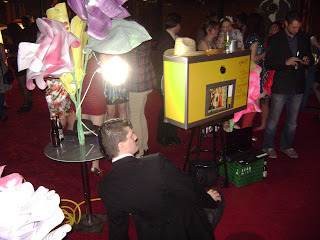 I want a photo booth hire that can do something unique like this one. I like the big camera because it really looks like a digital camera with a small screen at the back.